If you have ever opened a bottle of wine, quickly bringing your nose to the rim for a sniff and picked up an acrid odor, in place of a bouquet of cocoa powder, blackberry and cherry, then you may have experienced a corked bottle. The problem was most likely a fungus/mold that had attached itself to the cork and robbed the wine of its robust aromatics. This is a common occurrence for those in the wine industry (opening upwards of 10+ bottles a week), less so (and more jarring, when noticed), for the average wine drinker. The cork’s main downfall is its ability to carry these fungi—undetected. However, for all the faults that a cork may have (and there are a few), it is certainly a charming, lightweight device that proves to be quite versatile. Among the best things, is the satisfying pop it makes (the cork swells in the neck of the bottle by absorbing moisture, hence the pop) when it is pried from a fresh bottle of juice. Once removed though, they are often discarded—unless you are an artistic pack rat and can find a unique way to display them—but take a minute to investigate the tiny stopper. The small unit can be found in different shapes and lengths, tattooed with all sorts of insignia from relevant branding to random designs. The cork is derived from the bark of a finicky variety of oak tree (Quercus suber L.) that are particular to their hospitable environs. Its special requirements include: soil devoid of chalk, a medium altitude (330-1,000ft) and never getting too cold. Their ideal growing conditions limit them to few places around the world. They are primarily found in Portugal, Spain and North Africa. The cork industry originated in Catalonia, Spain but would eventually be usurped in production by Portugal because of the Spanish Civil War. Now Portugal is responsible for producing over half the world’s supply of corks while other countries fill out the remaining dregs. 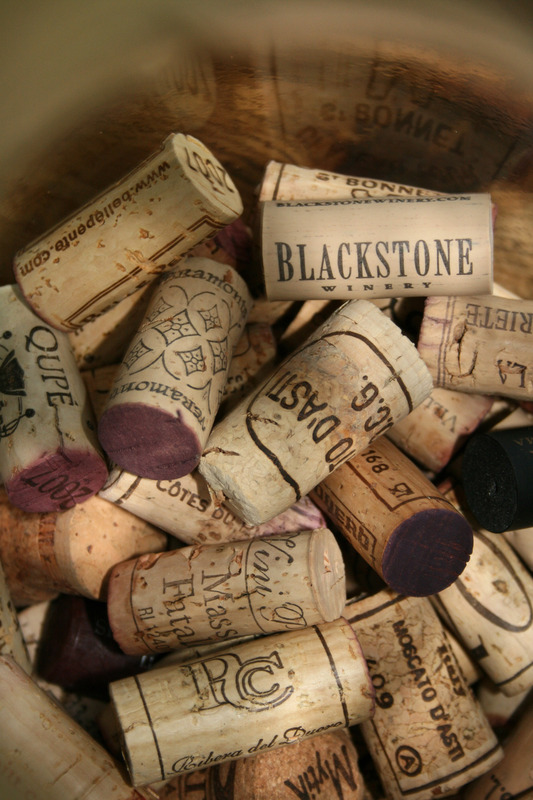 The cork-making process is not too different from other woods being shaped, treated and ultimately turned into products but its texture and lightness are unique. Thick, porous strips of the tree’s bark are removed annually from the tree without harming it. They are set aside to season for a select period of time, then boiled, to kill off mold and infectious taints. The wood is then left to rest again. After this process, the strips are cut into tinier planks to begin making the corks. The corks go through a series of cleaning and airing out treatments to limit the all but imperceptible to all the unnecessary evils that can grow on corks. This process is long and involved, yet it yields a mighty stopper, responsible for locking in some of the priciest liquids in the world. What is more interesting than its primary job, is its secondary/recycled uses, being converted into a wide array of products: wine shipping containers, shoes, boards, toys and furniture. I am not against screw tops and alternative bottle closures, but the cork is king.